Heat oven to 425°F. Spray 15x10x1-inch pan with cooking spray. 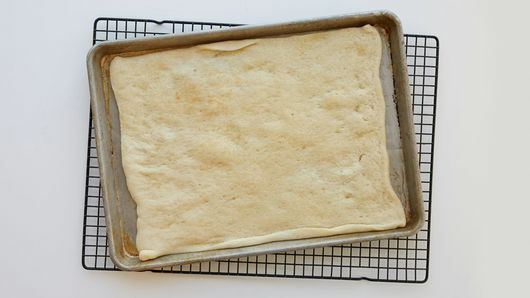 Unroll dough in pan; press evenly to edges of pan. Bake 6 minutes. 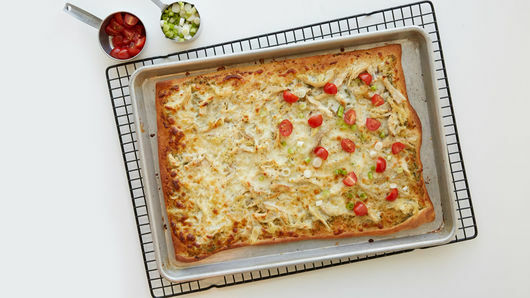 Spread pesto sauce onto partially baked crust; top with 1 cup of the mozzarella cheese, the chicken, pepper and remaining 1 cup mozzarella cheese. 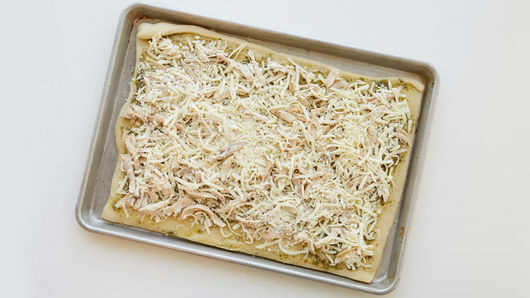 Bake 10 to 12 minutes longer or until cheese is melted and crust is deep golden brown. 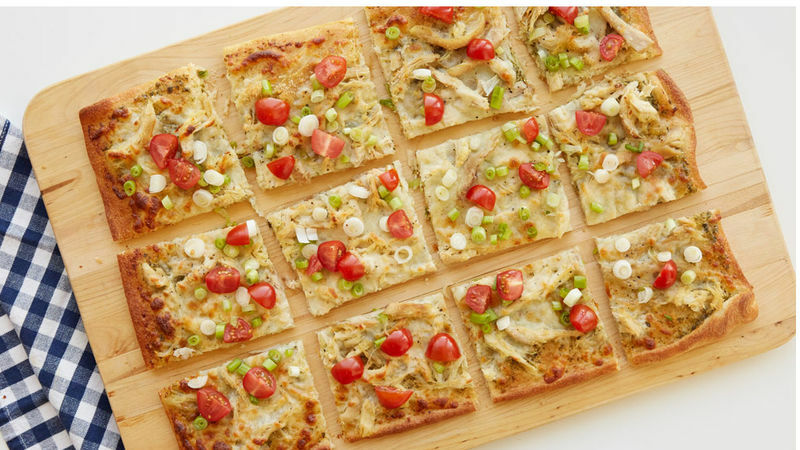 Top with grape tomatoes and green onions. Deli rotisserie chicken is readily available in your grocer’s deli section.